For a fun filled get away day for all the family you can not miss Alanya Pirate Boat Trip. 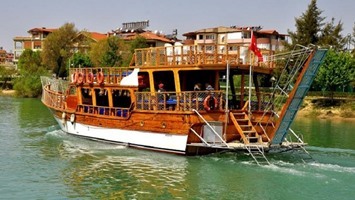 Known to be one of the best boats in the area, you will enjoy all the hospitality that we are famous for here in Turkey. This full day experience will take you from our meeting point at Alanya harbour (just near the red tower and the ship yard) into the paradise of the Turkish riviera waters. 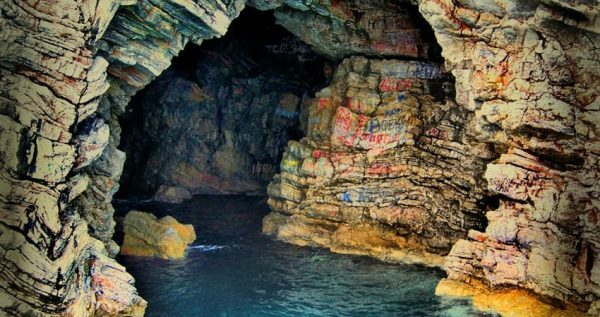 You and your family will have up to 4 different opportunities to immerse yourselves in our crystal clear waters as we swim from the boat and explore our amazing caves along the shoreline. Sea grottos and caves such as phosphorus cave, lovers cave and maiden cave all have interesting histories. Did you know that they once were used to hold female prisoners? 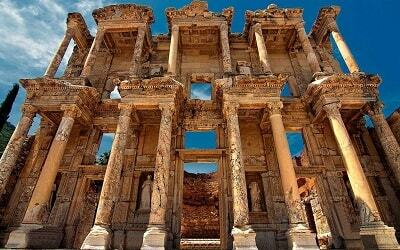 Your on board guide will explain all about their historical importance and show you the coolest places to swim. 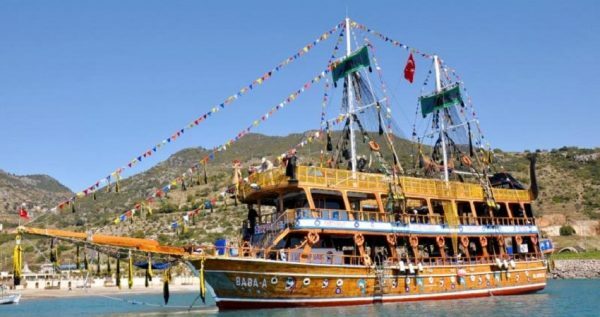 Alanya Pirate Boat Trip will begin as our friendly drivers collect you from your hotel and transfer you to the Alanya harbour. Pirate boat leaves at 10am and will dock you safely back at the harbour at around 4.30pm. 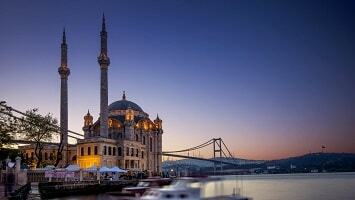 Unlike other tours you do not ever need to leave the boat. All of your needs are taken care of on board including a sumptuous barbequed lunch enjoyed as the waves lap the wooden hull and the world’s worries are carried away with the tide. 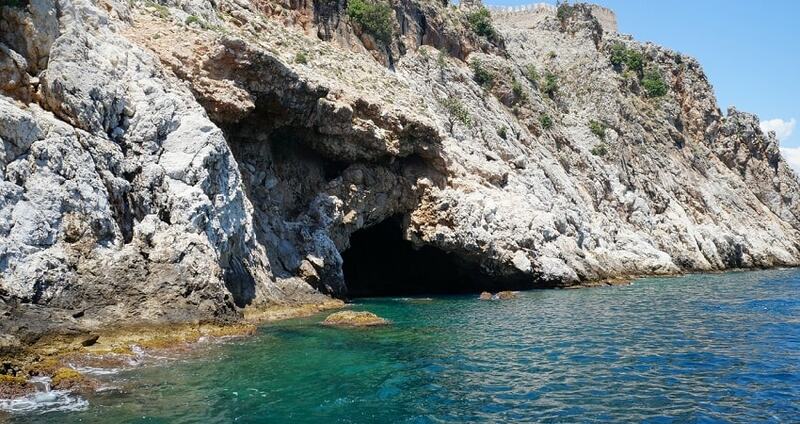 Many of our guests love to take advantage of our ability to get closer to the caves and grottos and will always be found swimming alongside the boat and the shoreline. Other guests prefer to take it easy and soak up the sun from on deck. It’s your day, the decision is yours. 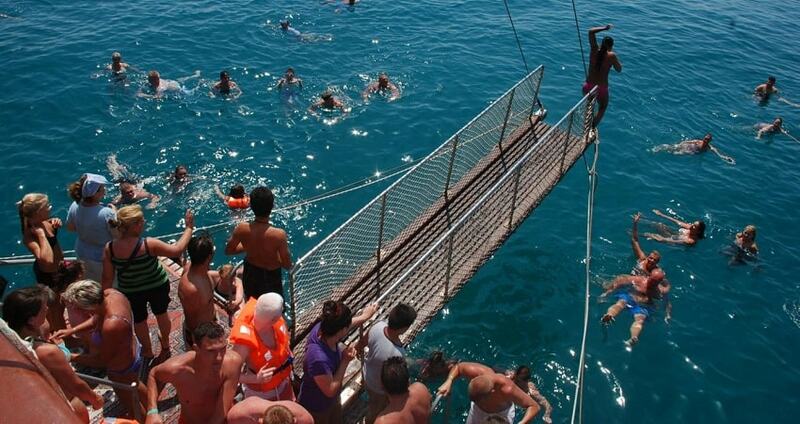 We will transport you away from the crowds to the pristine Ulas beach which is about 7 km from Alanya town. Here you can experience the peaceful surroundings as you swim and bathe in the turquoise waters of this stunning spot. 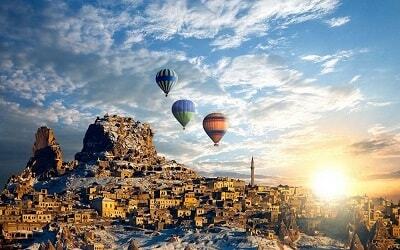 It is hard to believe that a place as beautiful exists, but it does and we will take you there. Pirate boat in Alanya is fully equipped with shower facilities as well and male and female bathrooms. Your tour includes all soft drinks as well as a full lunch and plenty of opportunities to take refreshing dips in our dream inducing sea. Hats, Sun Cream, Swimsuits, Sunglasses, Towel, Camera, Extra Clothes & Comfortable Shoes. 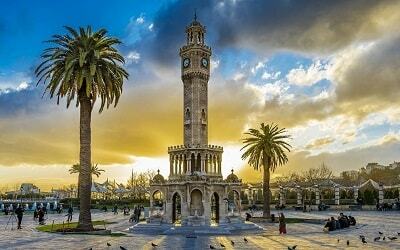 You can check all avaiable Alanya Excursions from here. 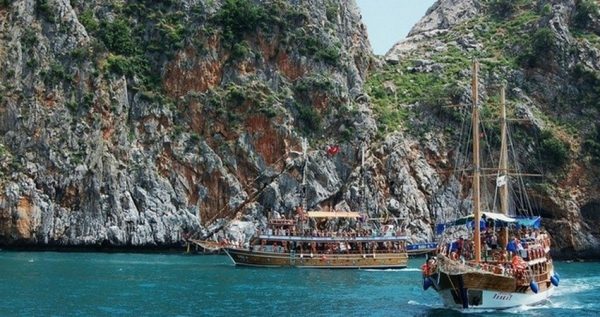 Leave the land behind and come and enjoy a day at sea on one of the Turkish riviera’s best boats with Alanya Pirate Boat Trip. 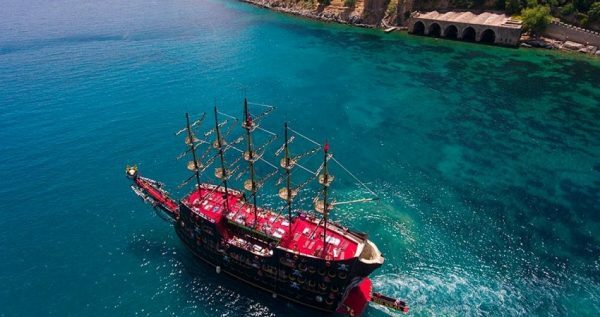 Modelled on the style of an old pirate ship this sea adventure is a must for families and friends looking to enjoy the pristine waters and hidden coves of our historical shoreline. 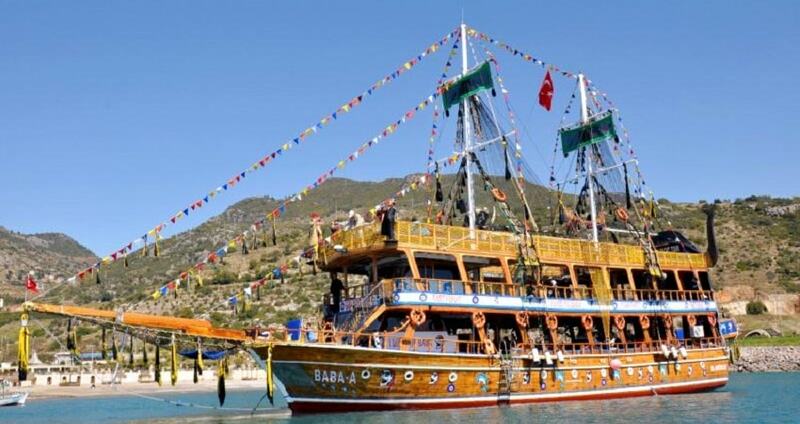 Alanya Pirate Boat departs at 10 am and we will of course come and collect you at your hotel beforehand. Once on board all of your needs will be catered for. Free flow soft drinks and even a traditional Turkish barbeque will be prepared so all you need to do is keep your sun screen topped up and enjoy your day. 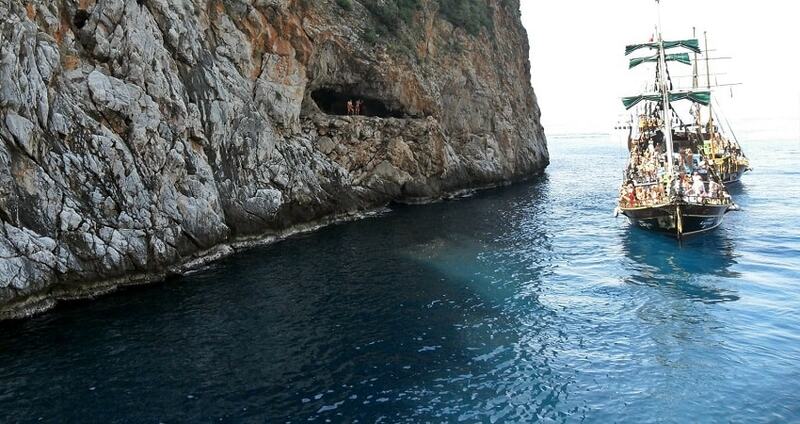 The highlight for many guests is the chance to swim and explore our unique cave structures along the shoreline. You will have up to 4 swimming stops during the day, each with it’s own points of interest. Don’t worry your guide will be on hand to tell you the best places to swim and what to look out for. 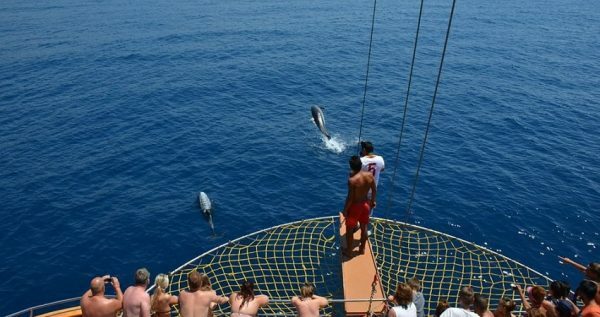 This whole day experience is perfect to get away from the hustle and bustle of land life and live on the ocean wave. 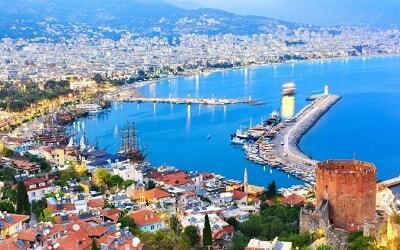 Our friendly local drivers will collect you from your hotel in Alanya and transfer you to the pier at the harbour for a 10am departure. The unique design of the is one to behold. You will be sailing on your very own pirate boat today, transporting you back to the days when pirates ruled these waves and all the treasure they contained. Our friendly pirate crew will look after the whole family with entertainment provided throughout the day. The boat enjoys modern facilities such as showers, a bar and male and female toilets. A traditional chicken grill, spaghetti with sauce and our local salads are all part of the package for you to enjoy. Of course, soft drinks are also included throughout the day. All you need to bring is your swim wear and lots of sun cream. The highlight of the experience for many, our swim breaks allow you to get right into the coves and caves of our shoreline. 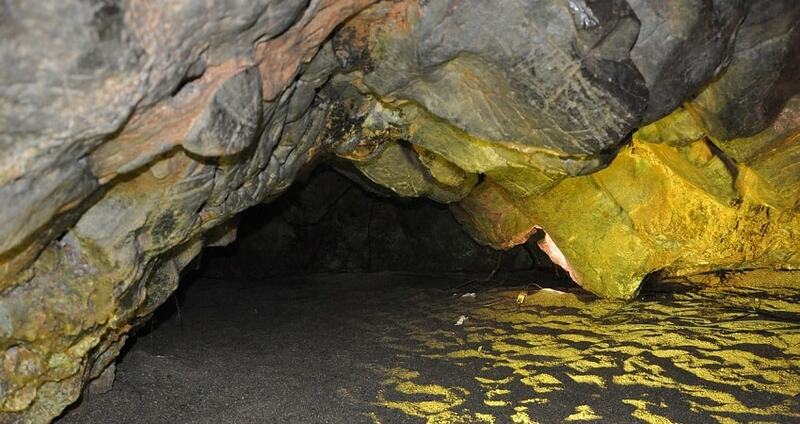 The Bosphurus cave, Lovers cave and Maiden cave will all be visited. Offering great photo and exploring opportunities. 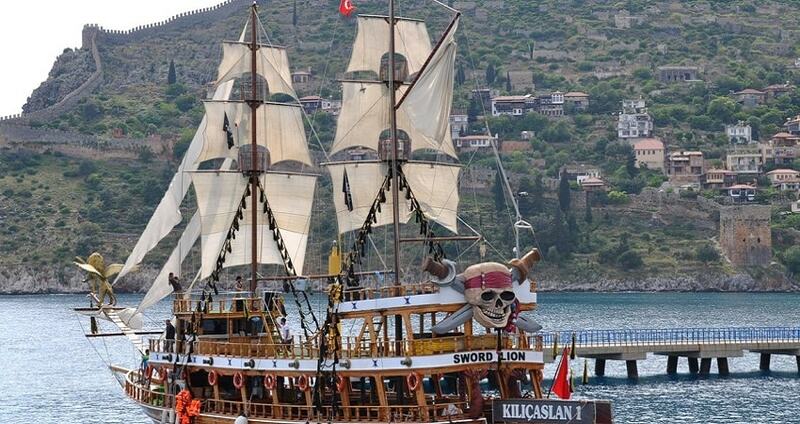 Alanya Pirate Boat will arrive back to shore at around 4.30pm. Our drivers will be waiting to take you back to your hotel after an unforgettable day at sea.